“The fall of the Berlin Wall has generally been recognized as a symbol of the downfall of the Iron Curtain, an end to the ideological confrontation,” said Russian Foreign Ministry Special Envoy Andrey Nesterenko. RT presents the full transcript of Nesterenko’s briefing on November 11, 2009. “Good afternoon, ladies and gentlemen. 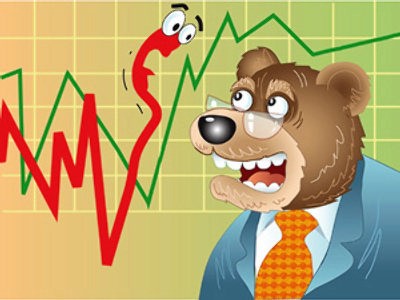 I would like to start with the major event of Monday, November 9, 2009 – you saw its coverage. I am referring to the celebrations held in Berlin to mark the 20th anniversary of the fall of the Berlin Wall. Invited by the German Chancellor Angela Merkel, Russian President Dmitry Medvedev attended the celebration. This anniversary is a milestone event in Europe’s modern history. The fall of the Berlin Wall has generally been recognized as a symbol of the downfall of the Iron Curtain, an end to the ideological confrontation and the start of the democratic transformation of Europe. Russia, being the successor state of the USSR, is directly related to that. It is important to remember that it was exactly the democratic choice of the peoples of the former Soviet Union that triggered the end of the Cold War. During the ceremony near the Brandenburg Gate in Berlin, the Russian president emphasized the necessity of a definitive removal of the lines dividing the continent and of creating a system of equal and indivisible security in the Euro Atlantic region. Moving towards a solution of this task is the essence of the initiative put forward by the Russian president on June 5, 2008, in Berlin on concluding a European Security Treaty. The experience, unique in many respects, of a peaceful settlement of Germany’s splitting as a result of and part of profound contradictions emerged from the logic of a global Cold War stand-off. This experience is still in demand in the context of seeking solutions for complex international problems both present and future. All the historical stages of this process were crucial. However, the most crucial positive lesson of its concluding stage consists in the fact that the goal of Germany’s unification was achieved through negotiation based on comprehensive mutual consensus in both the German states and through a complex legal agreement regulation of external aspects and consequences of the German unification in one country in peace and accord with its neighbours. We should consider this to remember that, along with the Treaty on Definite Settlement with Germany, the package of bilateral agreements between the Federal Republic of Germany and our country constituted an integral part of the international legal foundation for the establishment and comprehensive development of the Russia-Germany strategic partnership as one of the crucial factors for European and global politics. In this matter we expect that the new coalition government in Germany will continue, in the spirit of continuity, a course for comprehensive cooperation with Russia in various fields, including international cooperation based on the principles of consideration and rapprochement of mutual interests and consistent improvement of ties in such practical fields as the economy, science and education as well as cultural exchanges, a dialogue within civil society within the well-proven strategy of “partnership for modernization”. We are certain that Germany will be interested no less than Russia in expanding the common fields mentioned above. 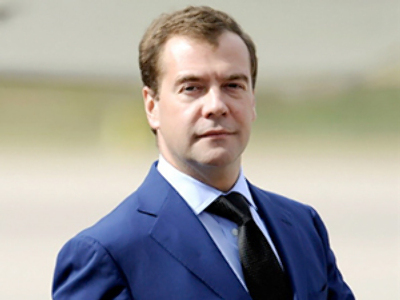 The full text of President Medvedev’s speech at the Brandenburg Gate can be found on his website. 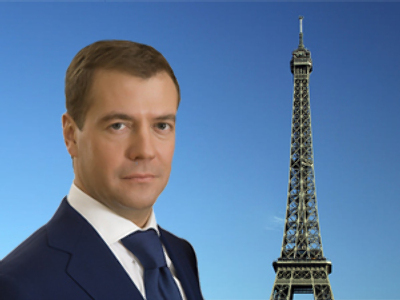 During his visit to Berlin, Medvedev met several leaders of countries who attended the celebrations, among them French President Nicolas Sarkozy and others. These events have been widely covered by the media. Before the celebrations, our president gave a comprehensive interview to the German magazine Der Spiegel, the text of which you can also find on the presidential website. I am using this occasion to draw your attention to a joint article by the Russian Foreign Minister Sergey Lavrov and his Italian counterpart Franco Frattini – you can find the full text of it on our ministry’s website. On November 10 and 11, Chancellor of Austria Werner Faimann was in Moscow on a state visit. 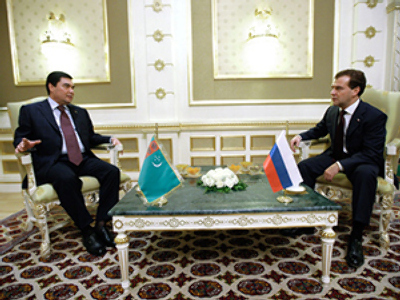 He was welcomed by Russian President Dmitry Medvedev and has had talks with Prime Minister Vladimir Putin. Both sides valued highly the state of their bilateral relations and stated that there were not any political problems or differences in them. They outlined basic directions of work on current issues of cooperation. In particular, it is a question of finalizing preparations of a number of bilateral agreements, on the coordination of efforts to stabilise the commodity turnover, on promoting major investment projects in energy and transportation. For reference let me note that Austria is one of Russia’s stable partners, with the turnover steadily on the rise in previous years. The international treaty framework of the bilateral relations has been actively improved. As Austria is keen on joining the implementation of the South Stream gas supply project, a respective intergovernmental cooperation agreement has been worked on. Both Russia and Austria are unanimous that the South Stream project is important for steady gas energy supply to Europe, since it aims at diversifying energy supply routes – in particular, to provide trouble-free transit of Russian natural gas to European users. Work also continues on draft projects for bilateral agreements on fighting crime, on mutual assistance in case of natural or manmade disasters, and on science and technology cooperation. Cultural ties have traditionally been significant in Russian-Austrian relations. Here in Russia, we appreciate the solicitous attitude of the authorities, public organizations and citizens of the Republic of Austria towards the Soviet beds of honour and monuments in that country. Nearly 87,000 Soviet citizens fell there. Prisoners of concentration camps and victims of forced labour were also buried there. Our memorial cemetery memorials have been properly cared for, which we are grateful to the Austrian side for. During the talks held in Moscow, a number of international issues have been discussed in detail, taking into account the Austrian presidency in the UN Security Council in 2009-2010, and issues of Russia-EU relations. As a whole, I would like to stress that an intense political dialogue has been kept at high levels, with productive contacts between the parliaments and annual meetings between foreign ministers. On November 14 to 15, the 17th meeting of heads of state and governments of the Asia-Pacific Economic Co-operation forum will be held in Singapore, to be attended by Russian President Dmitry Medvedev. The summit will be preceded by a joint consultation of foreign ministers and trade ministers from APEC countries, to be held on 11-12 November, to be attended by Russian Minister for Economic Development Elvira Nabiullina and Deputy Foreign Minister Aleksey Borodavkin. The agenda proposed by the presiding country, Singapore, with a common theme “Towards Sustainable Development and Strengthening of Regional Ties” aims at seeking ways to overcome the global financial crisis, also at the expense of strengthening regional economic cooperation as well as of defining optimal models for post-crisis development. Due attention will be paid at the summit to forming a new financial architecture in the context of the results of the G8 and G20 summits. It is also planned to discuss prospects of the successful completion of the Doha round of trade negotiations within the WTO, as well as issues of promoting regional economic integration. During the APEC conference in Singapore, the problem of strengthening various aspects of regional security won’t be ignored, traditionally being on the agenda of the Forum in recent years. Also, a traditional meeting of heads of state and governments with members of the APEC Business Advisory Council [ABAC] uniting prominent representatives from business circles and economies of the member-states will be held. Russia is represented at ABAC by the head of the Bazovy Element, VTB bank and Gazprom. After the ministerial meeting, a joint statement is going to be adopted, the tonality and the contents of which will lay the foundation for the future Summit Declaration. I was requested to comment on the situation around the presidential election in Moldova. I can say that we are closely watching the internal political processes in the Republic of Moldova from the position of interest in keeping stability as the main prerequisite for a successful solution to the country's problems and challenges. It is the basis of contacts between our representatives with leaders of the coalition, which recently came to power, and the leadership of the parliamentary opposition represented by Moldova's Communist Party. The political will of these parties will be a determining factor in working out possible compromised solutions. It is crucial that Moldova's ruling coalition and the opposition find compromises in the vein of democratic principles and in the spirit of responsibility before the society. I would also like to draw your attention to the fact that a meeting between representatives of Chisinau and Tiraspol, namely Moldovan Prime-minister on reintegration issues V. Osipov and Trans-Dniester Foreign Minister V. Yastrebchak, and Russian, Ukrainian, and OSCE mediators, as well as US and EU observers in the negotiations process of the Trans-Dniester issue settlement took place in Vienna on November 6. The representatives were invited to meet by the special representative of the OSCE Chairman-in-office and Deputy Foreign Minister of Greece Dimitris Drucas. During the meeting, the parties discussed today’s situation in the region, the possibility of re-launching expert groups to work on building social and economic trust in the Dniester region, and prospects of resuming the negotiations on the political settlement of the Trans-Dniester issue. Cooperation between Russian and Ukrainian Foreign Ministries has grown more active recently. Russia and Ukraine have planned to hold European security consultations in Moscow on November 16. The Ukrainian delegation will be led by Deputy Foreign Minister Konstantin Yelisevev. The Russian delegation will be headed by Deputy Foreign Minister Aleksandr Grushko. Also, political consultations between Deputy Foreign Minister of Russia Grigory Karasin and First Deputy Foreign Minister of Ukraine Volodymyr Khandogiy have been scheduled to take place on December 8 in Moscow. We still continue to actively negotiate with Ukraine on different aspects regarding the presence of the Russian Black Sea Fleet in Ukraine. After the seventh meeting of the Subcommittee of the Russian-Ukrainian intergovernmental Commission on the issues of the Russian Black Sea operation and presence in Ukraine, held on June 10 in 2009 in Kiev, another set of meetings took place between Russian and Ukrainian experts in the following months. They discussed specific issues, among which there was a procedure of crossing the state border of Ukraine by ships and auxiliary vessels of the Russian Fleet as well as dislocation of the Russian military units off the sites of their location in Ukraine, navigation and hydrographic maintenance of navigation in the Black Sea and the Sea of Azov, elaboration of the draft of the Agreement between the Russian Federation and Ukraine on the issues of jurisdiction and legal redress on criminal cases in the time of the Russian Black Sea Fleet staying in Ukraine, and so on. Bilateral meetings and consultations on other issues took place. Further discussions were scheduled. The meeting of the working group on military and political issues is scheduled for the end of this November. A regular meeting of the Difficult Issues Commission resulting from history of Russian-Polish relations took place on November 9. The co-chairmen of the Commission are: from Russia, Anatoly Torkunov, member of the Russian Academy of Sciences, rector of MGIMO at the Foreign Ministry of Russia; and from Poland, famous scientist Adam Rotfeld, former minister of foreign affairs in Poland. The Commission includes Russian and Polish historians, political analysts and publicists. This Commission is a tool of Russian-Polish cooperation, a “reset” which was brought about by the governments of both countries. The purpose of its activity is the recovery of bilateral relations, and banning the use of some ambiguous pages of a common past for short-term political aims. In the focus of the meeting there was a draft of a joint publication of articles of Russian and Polish authors “Blank Spots – Black Spots: Difficult issues in the Russian-Polish relations”. Ideas regarding conduction of the joint memorial events were also discussed. The next meeting of the Commission is scheduled for June of next year in Warsaw. Before the briefing I was asked what the Russian Ministry’s reaction is to an official refusal by Iran to send its low-enriched uranium for processing abroad. Let me explain – as far as we know, Tehran has not given an official final response in this respect so far. IAEA’s Director General El-Baradei is continuing work on the approval of technical aspects concerning the transportation of the Iranian low-enriched uranium (LEU) and production of fuel compositions for the Tehran Research Reactor (TRR). In particular, recently in the media he suggested that the Iranian material should be shipped to a third country, for example, Turkey, and stored there until it will be used to make fuel. We support this option. Russia is interested in a successful realization of the fuel supply to the TRR on the grounds of key aspects of the framework agreement developed by the IAEA. We believe that a successful realization of the scheme suggested by the IAEA Director General would substantially contribute to the restoration of trust to exclusively peaceful character of the Iranian nuclear programme, and would be confirmation of Tehran’s willingness to cooperate. It would also create a necessary ambience of trust for a constructive dialogue on settlement of a whole set of issues around the Iranian nuclear programme. Unfortunately, despite intensive international efforts, the crisis in Middle East negotiations is not yet solved. Many observers and politicians in different countries express disappointment that the situation gets more complicated due to the lack of consensus among Palestinians. Against this background, the statement of Mr. Abbas, the head of the PNA, that he doesn’t intend to be reelected to his position sparks particular alarm. Therefore, I was asked to evaluate this state of affairs. I agree that the situation is really not easy. In our view, under current difficult circumstances regional and international sides should do their best in order to avoid destabilization in the region and ensure conditions for the resumption of talks on the Palestinian and other tracks of the political settlement in the Middle East. We have repeatedly noted the urgent need for restoring the unity of Palestinian ranks from the point of view of the national interests of Palestinians themselves and for ensuring the effectiveness of the talks. Russia has facilitated and facilitates this. We believe that as a generally recognized leader of the Palestinian Authority, Mahmoud Abbas is a key figure in meeting the legitimate hopes of the Palestinian people and deserves support. President of the Lebanese Republic Michel Suleiman approved the staff of a new government in the country headed by Prime Minister Rafic Hariri on November 9. As a result of uneasy consultations with the parliamentarian opposition, Hariri succeeded in forming a new cabinet in line with the general elections held in Lebanon on June 7, which is to become a national unity government and represent major confessions and leading political forces in the country. In the near future the government will have to submit to the parliament its program statement and receive a vote of confidence from deputies. Moscow welcomes this event, which is important for Lebanon and the region. It proves that the successful settlement of the crisis and the solution of other issues on the national agenda will be possible only through a dialogue and the search for a compromise, meeting the interests of all Lebanese people. This way will ensure a consistent strengthening of independence, sovereignty and unity in Lebanon. Russia has always supported and supports this. I am convinced that a successful implementation of necessary constitutional procedures by the Government and further solid and effective work will be beneficial for Lebanon and its people. I was asked for the Foreign Ministry’s comments regarding the situation in Afghanistan, in which US President Barack Obama intends to deploy at least other 30,000 servicemen there next year, and about what the Administration’s official representatives have recently informed. Let me respond: as it’s known, the counterterrorist mission to Afghanistan has gone into its ninth year. Despite a continuous buildup in the foreign armed forces in this country, which amounts up to 100,000 servicemen in the country, there is no sign the situation is improving. Moreover, there is a chance it could further worsen. Terrorist activity is progressing. Talibs and other extremists already operate in northern regions of the country, which were relatively peaceful before. The Taliban’s allies from non-Pashtun ethnic groups have become more active. The year of 2009 hit a record in the losses among the foreign military units: 295 servicemen were killed in 2008, while during 10 months of the current year 466 soldiers died. In our view, in such conditions, an additional 30,000 troops for Afghanistan will not work if it is not combined with effective measures to form operational Afghan armed units able to fight drug trafficking, which is the major source of the financial resource of the Taliban movement and other two terrorist groups, as well as improving the country’s economy and increase employment. And, finally, a key factor is the existence of an effective government headed by an authoritative national leader which would be supported by the majority of the Afghan population. Then it would be possible to achieve a turning point in the war against terror and extremism in Afghanistan. On this subject I would like to draw your attention to the Statement of the G8 Foreign Ministers regarding the presidential elections in Afghanistan, approved by them on November 3 this year. In particular, the ministers congratulated the people of Afghanistan and President Hamid Karzai with the results of the elections, as well as all other candidates for a president for their participation in the election campaign that addressed key challenges for Afghanistan and its people. “We encourage President Karzai to unite the country, to rapidly form an effective, qualified and credible new government. We expect that the new executive will focus on improving state and local governance, promoting the rule of law – including justice, human rights and increasing accountability – and making progress on reintegration as well as security and stability for Afghanistan,” the statement reads. The full text of the statement is published on the site of the Russian Foreign Ministry. According to the agreement between the administration of the Russian Sakhalin region and a number of Japanese organizations, it was planned to have a presentation of the Sakhalin region in Tokyo on November 17-19 this year. It was assumed that this event would allow us to introduce the region to business and political circle of Japan and help to develop mutually beneficial cooperation, including cooperation in the area of trade and economy, with Japanese partners. In the process of preparations for this presentation, the Japanese side notified the region’s administration about denying Japanese visas to Russian citizens – representatives of business circles, residents of Kuril Islands, who were planning to participate in the presentation, they also let us know that these people cannot enter the country on the non-visa basis, allowed under inter-governmental agreements concerning Russian citizens residing in the Southern Kuril Islands. There was also a signal that Japan does not want to allow Russian citizens, who have business on those territories but are not registered there, to come to Japan for this presentation. Considering the position taken by the Japanese side, the Russian side decided to postpone the presentation of the Sakhalin region in Japan. We expect Tokyo to study the situation and the circumstances and in the future take measures which would allow for fruitful cooperation in the Kuril Islands as an important component of exchanges between Sakhalin region and Japan and Russia-Japan relations in general. For a more detailed report, please refer to the Foreign Ministry’s website. I was asked about how the Russian Foreign Ministry views the outcomes of the fourth session of GUAM Parliamentary Assembly, which took place on November 9-10 this year in Tbilisi. This question is about an event which took place in the framework of changing the parliamentary structure, in which Russia is not involved. At the same time, if we glance at the statement released after this meeting, we will see an interesting phrase – it says that in the context of the “situation in the region caused by the Russian-Georgian conflict” it is unacceptable for “any country to destroy the territorial integrity of an independent state”, it is necessary “to alert the international society about cases of aggression in international relations”. What can we say about it? We think that these phrases should be considered in the context of facts: on August 8, 2008, Saakashvili’s regime started a bloody battle against the people of South Ossetia. It was the Georgian side that started the aggression against civilians as well as Russian peacekeepers. We should talk about that and the many casualties, who were the result of Tbilisi’s actions, not about the “Russian-Georgian conflict”. We should also talk about how the actions of Georgia’s administration in South Ossetia ruined the longstanding efforts of the international community and killed the hope of territorial integrity for Georgia. In this context, the phrases describing joint efforts of the international community to stop aggression in international relations should be addressed to Georgia. It can also be said about making sure that the events of August 2008 do not happen again, in particular by imposing embargo on arms deliveries to the regime in Tbilisi. What we did not see in the statement by GUAM Parliamentary Assembly is resolution to settle conflicts by peaceful means. And this should be a concern. History lessons should be learned. The farther we are from the events of August 2008 the clearer the picture of humanitarian consequences of the tragedy and who really is to blame is. Let us look at it in the context of Tagliavini’s report, which gives a clear answer to the question about who started the war in South Ossetia on August 8, 2008. This was an independent investigation by the European Council Commission. Now it is important to make sure that situations like this never happen again. The conclusion is clear – calls by GUAM parliament members need to be addressed on a different subject. On November 16-19, 2009, Moscow and St. Petersburg will host the International Philosophy Day events. It is organized by the Philosophy Institute of the Russian Academy of Sciences and the Russian UNESCO Commission. The decision to celebrate annually the International Philosophy Day on the third Thursday in November was made by UNESCO in 2005 in order to promote the philosophical approach to contemporary problems and draw attention to philosophical education. Considering significant advances of the Russian philosophical thought and also the 80th anniversary of the Philosophy Institute of the Russian Academy of Sciences, UNESCO made a decision to have the International Philosophy Day 2009 in Russia – in Moscow and St. Petersburg – under the same title “Philosophy in the Dialogue of Cultures”. Cross-cultural ties are one of the most prominent issues in our world today, and it is going to be this philosophy forum’s key objective to define its aspects from the philosophical point of view. Around 100 famous philosophers from over 50 countries will take part in the forum, UNESCO leadership, executive secretaries of national UNESCO commissions of different countries, envoys to UNESCO from different countries. In addition, the events will take place in two cities, and the length of this forum is also unprecedented – four days in total. The event will also be marked by active participation of students and the society. According to the information that we have, the problem with the German ship with the Russian crew on board which has been in Dubai port since August 28, 2008, is now settled. The crew’s demands for payment and other things have been met. On November 10, the crew captain Roman Vostrikov reported from St. Petersburg that Russians who were onboard “Magdalena” are now home. Let me remind you that the vessel came to Dubai for repairs among other things (the main turbine needed to be fixed). The crew members demanded that the owner would pay their salaries for four months with the total amount of $250,000. The crew went on hunger strike, because the owner was out of reach. The Russian General Consulate in Dubai stayed in contact with the captain and made sure that the crew had food, fuel and medical assistance. We can express our satisfaction about the fact that the situation has been successfully resolved. The latest information about the crew of the “Island of Luck” vessel in the waters of the Democratic Republic of the Congo is described in detail in our November 9 report on the Foreign Ministry’s website. I have nothing to add to that yet. As all mass media both in Russia and Kazakhstan reported, on November 9 there was a fire in a building under construction in Astana’s industrial park. Fourteen bodies were recovered from the fire site, including four Russian citizens. President of Kazakhstan Nursultan Nazarbayev expressed his condolences to the bereaved families and instructed the country’s Prosecutor General to investigate thoroughly the causes of the tragedy, find those who are responsible and punish them harshly. He also told the mayor of Astana to give moral and financial support to the bereaved families and those who were injured in the fire. On our part, we express sincere condolences to all the bereaved families. The Russian embassy in Astana stays in constant contact with the authorities of Kazakhstan, keeping track of the situation. Thank you very much for your attention, now I am ready to take your questions. Vesti: An informal meeting of Russia-NATO Council is taking place today. How are the relations between Russia and the North Atlantic alliance developing? Yes, this meeting is taking place and nearing its end now. For us NATO is one of the key factors in the area of Euro-Atlantic security and stability, especially near our borders. The Russian approach to developing relations with NATO is characterized by a combination of defending our national interests and searching for a unifying agenda, as well as developing those areas of cooperation, where interests of Russia and NATO coincide and cooperation has real “added value”. We have managed to come a long way from confrontation and cutting contacts altogether to an advanced dialogue and cooperation for the sake of our countries’ security, predictability and stability in Europe. We have had our highs and lows, achievements and difficulties. Despite the difficulties, we decided to begin the process of restoring activity of Russia-NATO Council at the foreign ministers meeting on the Island of Corfu in Greece on June 27, 2009. At this meeting we reached the agreement to resume the political dialogue and practical cooperation on the mutually beneficial basis, “under any weather”. Russia is ready to develop full cooperation with NATO in reacting to real, not supposed security threats. More than ever we need a constructive agenda in the area of European security. We are against new dividing lines in Europe, we are for building trust in relations between Russia and NATO, for uniting efforts in strengthening our mutual space of Euro-Atlantic security. We can have different views of the events in Europe and in the world. It is normal. We are ready for honest cooperation in the areas where our interests coincide. Let us hope that common sense wins and NATO realizes that it is to their best interest to have constructive relations with Russia. Transparency of the alliance regarding its new strategic concept, its openness to an equal and substantial dialogue about transforming the architecture of the Euro-Atlantic security will have an important part in the success of this process. Now is the time for a comprehensive assessment of the situation in the Euro-Atlantic region, based on new realities. Russia’s proposal to have a new Treaty on European security gives us this chance. As far as the current NATO leadership is concerned, then, as our contacts demonstrate, on the highest level it is interested in bringing relations with Russia back to mutual grounds, so as to search for answers to questions that both sides are interested in. Let us hope that we will gradually restore what has been lost and move on to full scale cooperation. Question: I have a question on the Lisbon Treaty. After the Czech President has signed it, are we to expect the Lisbon Treaty to finally come in force? Is there an enforcement date and what change will it bring out in the Pan-European government? Will Europe’s decision-making be passed over to a supranational governmental institution? It’s a very important issue both for the EU countries and the whole international community, since the European Union plays a key role in the international relations, and is a strategic partner for our country. The Lisbon Treaty ratification procedure has been completed and the treaty is to come into force on December 1, 2009. The treaty’s objectives are to streamline the EU’s function, performance, and decision-making process, to consolidate the achievements of the recent decades in forming a common market, security and defense policy, as well as legal and domestic policies, and to pave the way for its further development, primarily in the federalist way. At the same time it is too early to talk about the European Union becoming a single state. We are talking about improving the EU institutional tools, redistribution of responsibility among these institutions and member states, and about Brussels’ “single voice” on the international arena. All this is in agreement with the European Union’s progressive development, and as such is a more radical step that those undertaken earlier on the way to achieve this goal. It can be added that a whole number of questions that arise out of the Lisbon Treaty coming into force are still under discussion among the EU members. This process will take some time as we talk here about really serious things that are meant to make quality changes to the processes within the EU and the EU relations with other countries of the world. We wish to the EU countries every success in finding solutions to the issues on the agenda, and we hope that their work for the benefit of the European Union is a success. We hope that it will not have any negative impact on the relations between the EU states and other counties who actively interact with the Union, including Russia. Question: ITAR-TASS, I have two questions, please. The US Under Secretary of State Ellen Tauscher made a statement that Washington was very much disappointed with Moscow’s response to the package of proposals submitted by General James Jones ten days ago. What are these proposals, and what is it exactly the Russian officials are in disagreement with? And my second question is the following: the Latvian Foreign Minister mentioned last week that Sergey Lavrov is expected to visit Latvia some time within the first six months of the next year. Is there indeed such an agreement, and if so could you please share the details of the Minister’s pending visit? We have certainly paid attention to Ms. Tauscher’s statements. But it is inappropriate to comment on such statements, and all I can say is the following. A set of proposals on the production of a new agreement to take the place of the START treaty were forwarded recently to the Russian officials by General J. Jones. It is deemed inadvisable to disclose the essence of the proposals forwarded to us as well as the proposals we have returned to our partners. It is a working discussion between us and our American partners. Both the negotiations and their subject matter are very sensitive matters. The latest, eighth round of talks started in Geneva on Monday, November 9. The negotiation process continues practically day and night. We hope that it will be the last round and the new treaty will be agreed upon by December 5, as it was ordered by the US and Russian Presidents. The talks are proceeding in a serious and constructive atmosphere. The parties are working on reconciling the two positions and agreeing on the wording of the treaty. The Russian delegation is doing everything possible in order to produce a balanced document meeting the interests of both our countries and the objective of global security by the defined deadline. As for your second question, the date of Russian Foreign Minister Sergey Lavrov's possible visit to Latvia remains on the agenda of our bilateral relations, but today it is untimely to talk about the dates of the visit. The minister's schedule for the upcoming months is very intense. It is necessary to work on the program and agenda of the visit. The output of this work and the general dynamics of Russian-Latvian relations will provide a more solid ground to talk about Sergey Lavrov's trip to Latvia in detail. Question: Can you comment on the reports about a group of Georgian fishermen having been detained in the territorial waters of Abkhazia? Some sources confirm the information while others dispute it. Can you say what really happened? Yes, I can. I was late for the start of today’s briefing – once again, my apologies for this – due to the fact that I was getting a report on this issue from our Embassy to Abkhazia. I can say that the patrol boat Yamalets checked three boats at about 11:30 on November 10, 18 kilometers south of the town of Ochamchira at a distance of four miles from the shore. There were nine people onboard who said they were residents of Gagida, a town in Abkhazia. Approximately an hour and a half later the detainees were handed over to an Abkhaz coast guard vessel. The persons in question were detained in accordance with the regulations for controlling the border in the territorial waters of Abkhazia. The detainees are now being identified. The following violations have been identified: the detainees did not have any IDs, fishing permits or ship documents. Besides, they violated the sailing rules in effect in the Republic of Abkhazia. As for the actions of the Russian border guards, in this case they were acting in full compliance with the Russian-Abkhaz agreement on joint efforts to guard the state border of the republic. This is all the information we currently possess on this matter. As soon as we have further details we will share them with you. Question: Can you comment on the incident with the Czech soldiers who served as part of the NATO force in Afghanistan and decorated their helmets with Nazi insignia? Then, last week, a reporter spotted an SS panzer division symbols on a NATO car. And again, last week, a Czech officer was suspended from service for being a member of a neo-Nazi organization. Doesn’t it seem to be a dangerous tendency to you? I wouldn’t agree that it is a dangerous tendency. What happened both surprises and disappoints, and is not honoring those who were killed in World War 2, including Czechs and Slovaks. Different reports have been published by the media. There were reports saying that these Czech officers were decorated and rewarded upon their return from service in Afghanistan. But today I have read a number of publications saying that Czech Defence Minister Martin Bartak has suspended these two soldiers. Mr. Bartak has ordered an investigation of the case notwithstanding that these officers, namely H. Matonoha and J. Cermak, are no longer in service. We hope that the investigation will be unbiased, honest and thorough, and Czech commanders will make an evaluation what happened. I want to repeat, this fact is to be regretted and denounced. Question: Getting back to the statement made by Ms. Tauscher, you mentioned that both the negotiations and their subject matter are very sensitive matters and that Russian delegation is doing everything possible in order to sign-off the treaty by the defined deadline. Could such statements made by the American partners be considered as an expression of doubt that the treaty will be signed on time, or possibly a wish to put pressure on Russia implying it is trying to delay the talks? Thank you. No delay in talks is involved here. We and our American partners are of the same opinion that we need to reach an agreement by December 5, and thus carry out the orders of our presidents. This agreement between the leaders of our two countries was one of the most important to have been reached at the first Russian-American summit. We, on our part, are doing absolutely all we can to have this agreement implemented. Ms. Tauscher has probably expressed her opinion on this matter. Perhaps, on the one hand, she has the right to do so as a key participant in the negotiating process. But, on the other, I do not rule out that it might have been somewhat emotionally colored. The talks are well underway with a constructive atmosphere prevailing. The agenda is very serious and it requires the most serious dialogue and effort in finding an optimal formula suiting both sides. We, on our part, are interested in attaining this agreement. Our entire delegation, which consists of highly qualified experts in the field, will do its best to produce a positive output. Thank you very much for your attention. See you at future briefings".